Here is the latest exciting news for praise and prayer from John, Anne and the Creation Research team around the globe. NOW A CERTAINTY - one rent free building in a prime Tasmanian tourist spot for a Tassie Creation Museum for the next 5 years or so. The generic plan is to have a display set up by September with a trial month in time for the big opening in October for prime tourist season in Tasmania. The site is on the beautiful Tamar River so keep praying for John, Craig and Rachelle, Brendan and De Arn who are the organising committee for this. STORM DAMAGE REPAIR from the Nov/ Jan tree falls - We have just switched on the last power breaker for the back fossil storage shed, which has been off for a long time. All services are back on with minor disruption expected when Telstra finally gets round to putting phone lines underground sometime ....waiting ...waiting. JOBS REMAINING TO BE DONE – One ceiling is starting to sag and collapse and needs to be replaced. One carport roof where the powerline support was torn through needs replacing, along with guttering and fascia board. Various painting tasks remain. FAKE NEWS IS EVERYWHERE Climate, Evolution, Homosexuality and now Abortion as Aussie Courier Mail 21 February 2017 reports that 80% of Queenslanders favour decriminalising abortion. Not surprising, none of the people we have asked were polled, and none favoured decriminalising abortion. Actually, we predict that if real polls were done many people's views are closer to wanting abortion treated as murder, and homosexuality banned, etc,etc. LIBERAL POLITICIANS BEWARE WORLDWIDE eh? Reminds us of the old joke: “90% of statistics are made up 85% of the time” and most Media are leading liars in the use of such techniques. JURASSIC ARK DECISION made to employ Curator Daryl Brenton one more day a week, so pray the Lord might raise up extra funding. Most of the hot season seems to be over, and all of our plants both at Jurassic Ark and the main property seem to be surviving. Thank You Jesus. MINISTRY at the very hot Tenterfield (NSW) February Agricultural show was a real blessing as the “global warming” gave rise to quite a few conversations dealing with God’s control on things including eternity. Some Buddhists shared they didn't want to be re-incarnated back to a globally warmed planet...great open door to warn about eternal warming in hell and only Jesus can rescue. One contact came to the church service that John preached at on the Sunday. 100+ HOMESCHOOLERS visited Jurassic Ark last Thursday (16th February) for an introductory day with Daryl, John, James, and Diane. Pray for Dr Diane Eager from Canberra who will be up at the main Queensland office for the next few weeks. STAFF CHANGE COMING - Exciting but sad news as we say goodbye to Amy, our office girl, who married Matt last year and has shared that her and husband Matt will be moving out of our area which will mean sadly finishing up at Creation Research. Pray for them as they start their family, and for their future together. This will be happening at the end of April so pray with us that we might find a suitable replacement in time. The person must 1) love Jesus; 2) be sure of the calling to Christian ministry; 3) love dogs, chickens, orchids, and cope with fossils and rocks, as well as be able to do office work. PRINT NEWSLETTER going to the printers at the end of this week - the first for 2017. PROFESSOR ANDY MCINTOSH comes to Victoria and Tasmania at the end of March/start of April, and we still have gaps in his Itinerary. Pray that the venues would be filled. Arthur Reid has had some medical procedures, so pray for him and his family as he is healing. JONI IN THE USA has had increasing work load thrust upon her because of her mum’s collapsing health. This needs real prayer and support as she is struggling to handle ministry demands at present. CANADA – Martin and his Museum continues to move along so pray for him and new field trip opportunities as spring comes to Canada. Vance Nelson’s new book on monsters and giants etc. is out, and we are starting to sell it in Australia. Pray for great interest and sales. curiosity and wonder. These creatures present great insight into the true history of planet Earth. ENGLAND – Joseph continues his geology studies. He has had some minor damage to his arm due to a rampaging Ram at the zoo where he works part time to fund his studies. Museum plans for England and Wales are proceeding well. Pray also as we continue to prepare for the UK AIG conference in October this year. Pray for young people like Ibrahim and Hannah in the UK as they get more involved in the ministry. 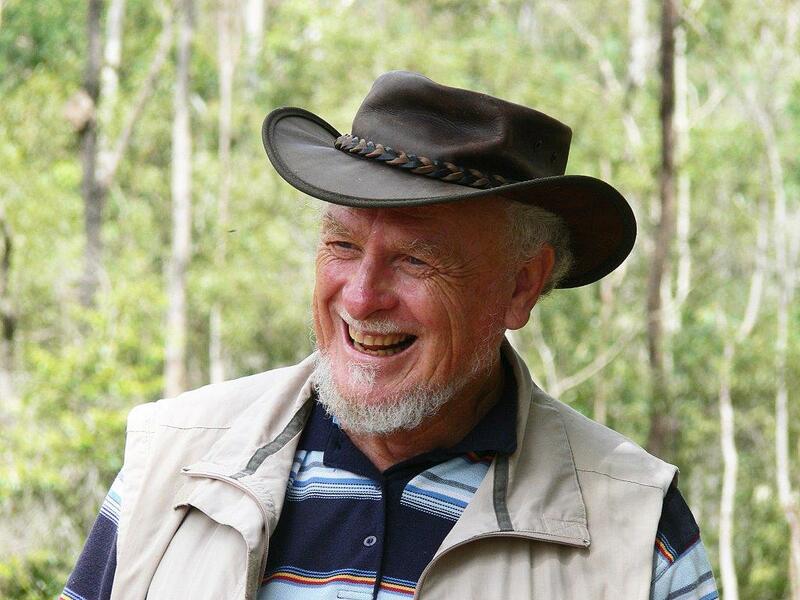 OVERRIDING PRAYER DOWNUNDER in Australia is that we might find a young man qualified, able, competent, called and gifted to share the frontline burden downunder with the Creation Guy John Mackay. VISION RADIO has approached us to do team ministry following the very successful programs we have been running over the years. Pray as we negotiate with them on this. Vision is an independent Biblical “enthusiastically” Gospel radio. CANBERRA NEWS from Diane Eager: "Recently I spoke to a ladies’ Bible Study at an Anglican church in Canberra. The groups had planned to do a serious of studies on prayer so I got them to consider the meaning of the word “Bless” (often used as a throwaway line in prayer) by looking at the blessing given by God in Numbers 6, and then consider what it means to “Bless the Lord”, using Psalm 103. This Psalm describes how all creation is called to worship the Lord, our Creator and Redeemer. Several of the women commented that it was good to have an introduction to the topic of prayer with something that focused on God and His power, rather than on ourselves." Diane has given presentations on various topics to this group before, and the best feedback is how starting with God as Creator and moving to Christ as Redeemer then Lord of all in Revelation really helps them understand the Bible and the world around them and worship the Lord with their heart, soul and mind. To have Diane give a presentation to your group contact the Creation Research office at info@creationresearch.net. Keep us in prayer as we pray for you. IF YOU no longer wish to receive our updates please reply with REMOVE PN in the subject. To assist us please include your name as well as e-mail address (and organisation name, if any). Copyright © 2017 Creation Research Pty Ltd ACN 083 158 347, All rights reserved.